The first registered apprenticeship for organic vegetable production in the country. Are you interested in learning the skills and knowledge required to be an organic farmer? Or are you a farmer who wants to cultivate long-term managers on your farm and support the next generation of farmers? The Organic Vegetable Farm Manager Apprenticeship provides a structure that meets the needs of both experienced and aspiring farmers. This unique competency-based program provides comprehensive, hands-on training under approved Farmer Educators and paid employment for apprentices interested in taking on farm management positions. What does a Organic Vegetable Farm Manager do? Manage all aspects of vegetable production from field to sale. Supervise farm staff on vegetable production and sales. Maintain farm facilities, equipment, and tools. Keep production, employee, and financial records that help inform future farm decisions. Evaluate changing environmental and market conditions to best steer the farm business, in conjunction with the farm owner. New things every season and every day! Apprentices work side by side with experienced farmers in the field season and take structured courses through the WI Tech College System in the off-season. A comprehensive Job Book lays out on-the-job competencies that must be learned in the field. Three apprentice courses cover philosophy and concepts that are better learned in the classroom. It is estimated that the program will take two growing seasons. Apprentices may join a farm at any time, though they typically start in early spring. Farmer educators train apprentices in all aspects of organic vegetable production and provide insight and instruction on operating a farm business. 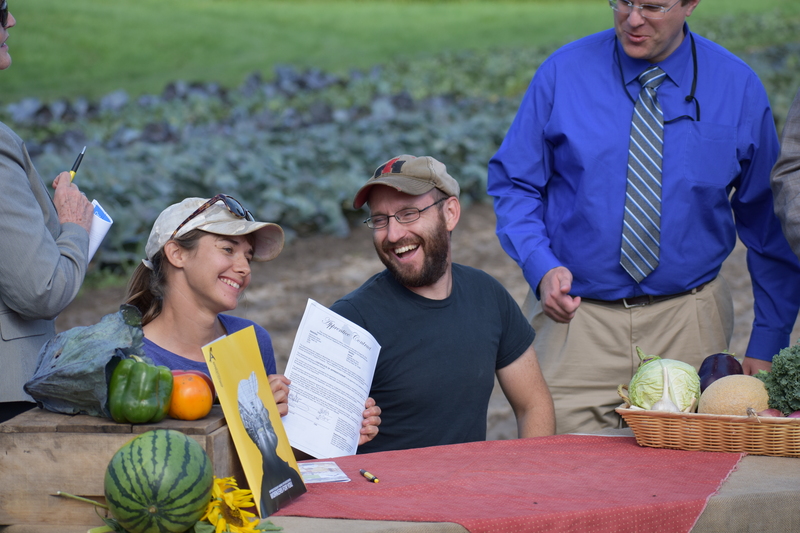 Congratulations to the first apprentice and farm educator pair of the program! Katie and John from Fazenda Boa Terra Farm in Spring Green are the first registered organic agriculture apprenticeship pair in the country!